Whether you're by the beach, at the pool or using it at bath time, this fantastic WWE Booty-O's Towel is the perfect way to keep yourself warm and dry. 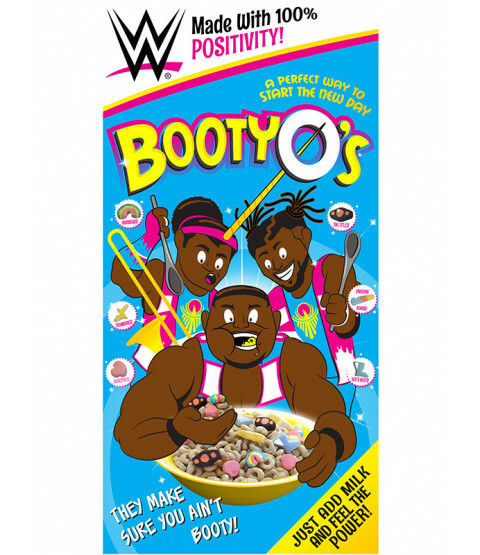 It features a replica of The New Day's iconic Booty-O's cereal box with cartoon versions of Big E, Kofi Kingston and Xavier Woods. Made from 100% cotton, this large towel has a soft velour feel and is machine washable.